Flowers are the silent heroes of weddings; whether they’re sitting on tables, tied in bouquets, or perfectly placed aisle accents, no wedding is complete without these unique bunches of beauty. Carrying flowers at weddings began long ago, in ancient Greece and Rome. They were worn or laid around the newlyweds to symbolize love and hope for the life of the new couple. Today, flowers can represent anything from hope and love, to ambition or adoration. With such an array of options, it can definitely get overwhelming, but we’re here to help! Flowers are the little living adornments that can represent you and your “sweet pea” or even pay homage to those who came before you. One thing is for sure, no matter your theme, your color, or even your budget, there’s a stunning bouquet waiting just for you! Roses vary in their meanings based on their colors. These little buds represent love, admiration, unity and friendship, but each one is uniquely beautiful, just like the love between you and your honey. Dahlias are those statement flowers that just make you say “wow!” Most notably, the Victorians used the Dahlia to signify the lasting commitment between two people. Could this get more perfect? 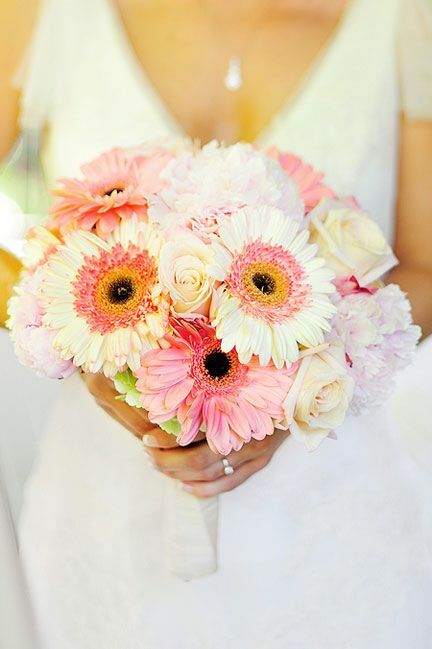 Gerbera Daisies are one the most popular flowers in the world, and for good reason. These bright little flowers stand for innocence and cheerfulness. Calla lilies (2, 4) are absolutely regal flowers, and these strong stems stand for just that. Stargazer lilies (1, 3) are in the same family as their Calla cousins but these-in addition to being show stopping-represent ambition, and what better way to look towards the future with your love. Again differing based on color, tulips can show love, wishes for good health, or royalty! 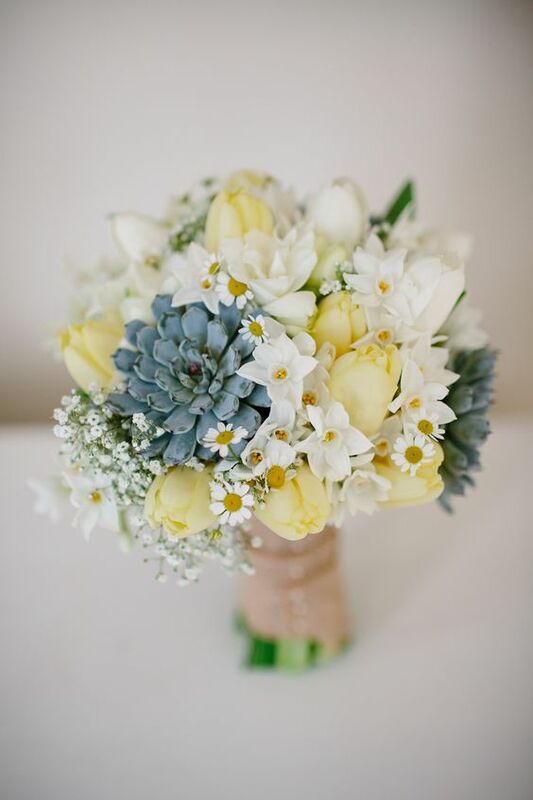 The unique little bulbs hail from many places around the world but their versatility continues to make them a perfect choice for any bride. Everybody loves a good sunflower and these big, bright blooms stand tall for the adoration you feel for all your loved ones and make the perfect accent to any bouquet. Bridesmaids Just Wanna Have Fun....Dresses!